The music video Hareth starred in with Aloe Blacc has gotten millions of hits and has been seen around the world but, for her, it wasn’t a dramatization. The idea her family could be separated by immigration is real. Her father is in deportation proceedings. 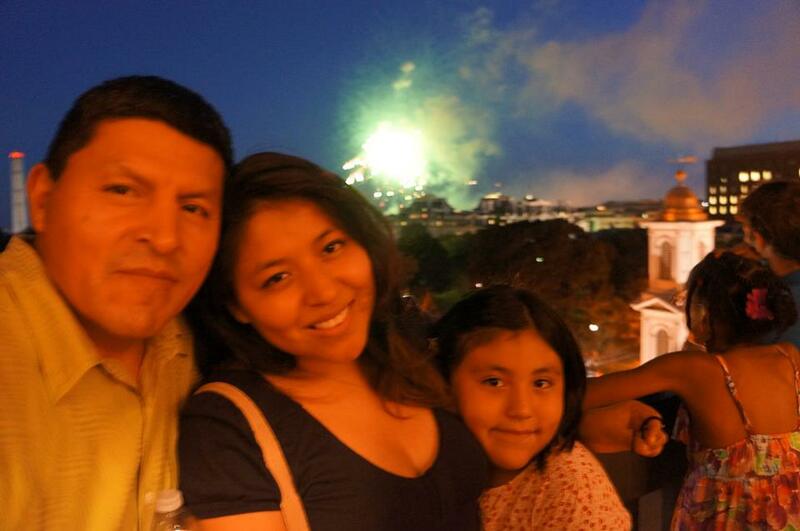 Mario came to the U.S. in 2004 seeking a brighter future for his family. He is a hard working father of an 8-year old US citizen, a 15 year old daughter, and Hareth, who is 20 years old and was just approved for President Obama’s Deferred Action for Childhood Arrival (DACA) program. He is a devoted spouse and the economic support of his family. In May of 2012 a police officer pulled Mario over as he turned into his parking garage. Mario was taken into custody, and charged with driving under the influence. Although charges were eventually dismissed, he was still transferred to immigration custody and taken to the Farmville detention center, where he spent over a month waiting for his hearing. The family has until his final court hearing to push ICE to keep them together. Please help Hareth, Mario and the rest of their family, stay together by sending a message to ICE below. We Stand with Hareth, Stop her dad’s deportation! UPDATE: Mario’s deportation was closed. Thank you for all the support. ICE says, Suvivor of Domestic Violence has Credible Fear in Mexico: Free Grandma Luciana!